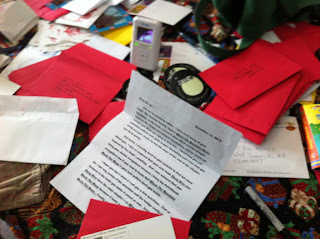 Just like last year, I felt like I had to finally answer all my reader mail* before the new year. I'm getting better--my return rate is about 4 months versus the 6 months(! ), now! though, to be fair, this writer didn't tell me why her cats were so ambitious! I am very curious. Doesn't it sound like a book that needs to be written-- "All the Ambitious Cats?" Maybe she'll tell me in her next letter.